Find a small gift or favor for your special father or grandfather in your life to honor for this special day. Celebrate Father's Day by sending the dads in your life this cookie BouTray? gift full of appreciation. This arrangement comes complete with decorated Father's Day cookies and gourmets. This item is priced as a 9 cookie. 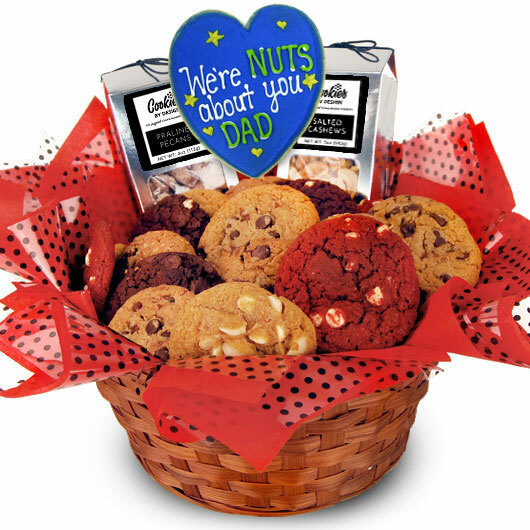 Tell Dad 'We're nuts about you' with this combination Father's Day gift basket. Accompanying one dozen of our gourmet cookies are two packages of specialty nuts and one of our signature decorated sugar cookies. This gift for Dad is the perfect mix of sweet and salty to cure any kind of craving. 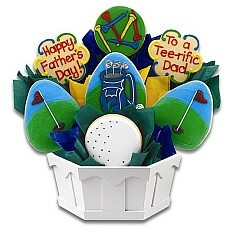 Send your "tee-rific" dad this delicious decorated cookie bouquet for Father's Day. It's a gift that's a hole in one. This item is priced as a 7 cookie. 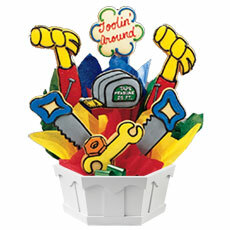 No toolin' around, this cookie bouquet is perfect for your special handyman. This item is priced as a 7 cookie.